Leaks are not stopping as we have already seen the hands-on images, full spec-sheet and even the unboxing video of the OnePlus 5T. 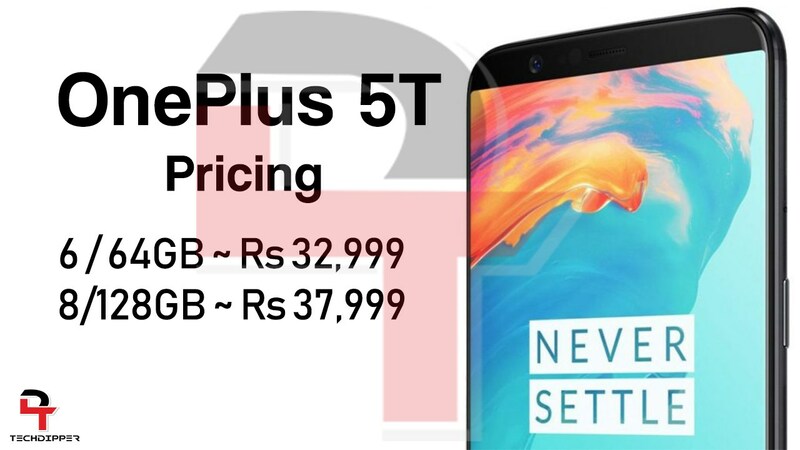 Until now, pricing of the 5T was not known, but as we reported a few days back, the price of the OnePlus 5T is going to remain the same as the price of OnePlus 5. Today, we got information about the price of the phone for the Indian market from a reliable source. Well, this is probably not good news for those who just bought a OnePlus 5 since the 5T is going to cost the same. Pete Leu had already tweeted that the users will appreciate what is coming. So, talking about the pricing, the 6GB variant with 64GB ROM will start at Rs.32,999 ($505) whereas the 8GB variant with 128GB ROM will start at Rs.37,999 ($581). We are not yet sure if the price will remain the same for other markets also, but right now, it seems users in India are going to get the OnePlus 5T at the same price as OnePlus 5. What are your thoughts on this pricing? Do let us know via the comments section.